So, when I originally created this site back in '96, the running gag was that I was this barely-literate drunken goon. Well, two out of three ain't bad, right? Turns out, I can read. Although, truth be told, several years ago I decided to only read books that had won the Hugo or Nebula. But, of course, each of these books would send me on a side journey to read all the works of each of these authors. In some cases that took me something like a year just to read the author's collected works (Thanks a bunch Ursula K. Le Guin). 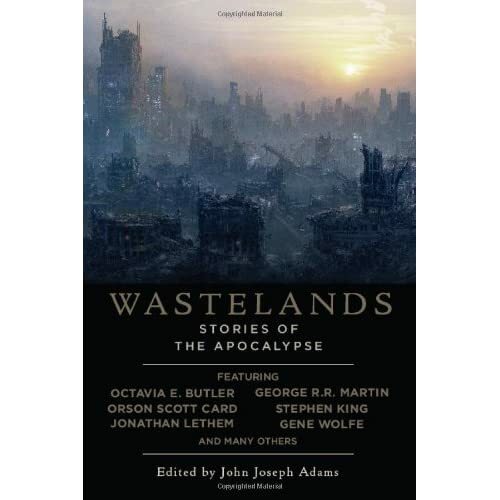 Well, it sure seems like I should be reading some post-apocalyptic books, right? I mean, I know the site isn't called postapocalypticbookmania.com but we can still randomly talk about books, right? 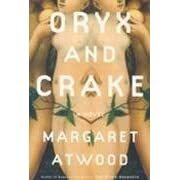 Anyway, I think the first book I'm going to read on my quest for apocalypse-related books is probably going to be Oryx and Crake by Margaret Atwood. I don't know a ton about her or her books, but it seems like every time I'm googling for apocalypse-related material, she pops up. So, there has to be something there, right? From the synopsis and reviews, the apocalypse sounds like it was by plague (which I think is the most likely kind we'll get these days). The book follows the life of Jimmy (aka Snowman) before and after the apocalypse and it sounds like there are some pretty creepy moments. Something about green-eyed "Children of Crake" and whatnot. Anyway, can anyone recommend this book? Because I'm just about done with "Blue Mars" and I need something new. So, let me see if I have this right. 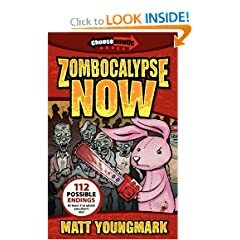 It's a choose-your-own-adventure book about the zombie apocalypse and you are (in your role as the protagonist) a pink stuffed bunny rabbit? That's correct? Awesome! You're a stuffed bunny, and it's the end of the world. Between you and your objective are forty or fifty ­zombies gorging ­themselves on the flesh of the living. If you disguise yourself as one of them and try to sneak past the feeding frenzy, turn to page 183.If you grab a tire iron, flip out and get medieval on their undead asses, turn to page 11. Zombocalypse Now is a comedy/horror ­reimagining of the choose-your-own-ending books you grew up with. 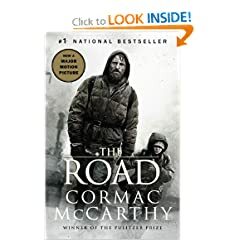 You'll be confronted with undead hordes, ­internet ­dating, improper police procedure, and the very real ­danger that you'll lose your grip on reality and wind up stark raving mad. The zombie apocalypse has never been this much fun.